Salt Lake&apos;s new lavish restaurant, Zy Food Wine and Cheese, seems to be doing it all right. Serving several courses all including fine cheese and excellent wine pairings, Zy is satisfying taste-buds around the city. 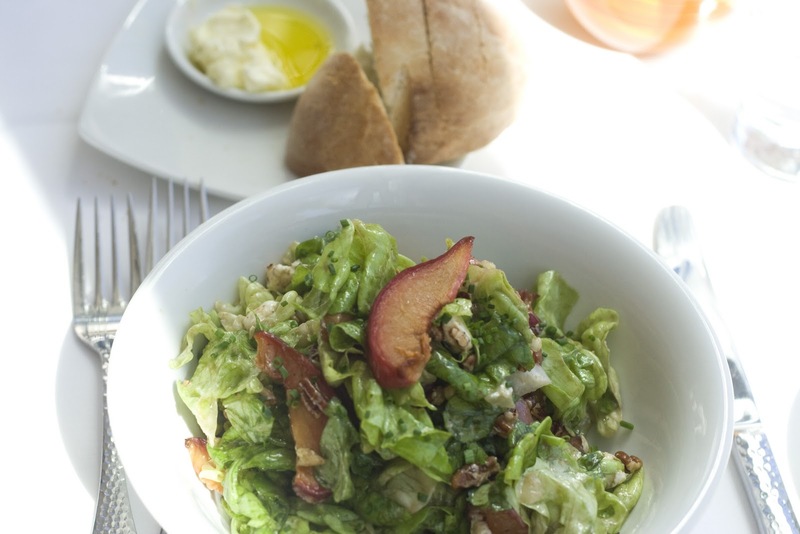 On my recent visit for lunch I ordered the Classic Bib Salad with roasted stone fruit, pecans and goat cheese. The dish was beautifully presented and full-flavored with a balsamic dressing and generous amounts of creamy goat cheese. I also enjoyed tasting my friend&apos;s dish, the Spinach, Mushroom and Goat Cheese Enchiladas. The enchiladas were served old world style (with the tortillas layered flat instead of rolled) and smothered in fresh salsa verde. They were equally as delicious as my salad. Zy specializes in wine and cheese. Their menu presents you with an array of cheeses to experience from local Beehive Cheese to specialty Italian cheese. Most of their dishes also include one of their signature cheeses. If you like cheese, this is the place. Also, I will add that our dishes were well salted, which I enjoy but I know some prefer otherwise. Our lunch was super flavorful and I must add that even their bread is was scrumptious! Zy Restaurant is located at 268 S. State Street in downtown Salt Lake. For more photos please visit The Vintage Mixer blog post on Zy Restaurant. Read more from Becky Rosenthal at www.thevintagemixer.com.